Does it feel like there’s either a Starbucks, Chase Bank, or Duane Reade on every corner? Well, that’s actually quite a realistic feeling. According to the Center for an Urban Future‘s seventh annual State of the Chains report, national retailers in New York City experienced a 2.8 percent increase in 2014, the largest jump in four years and the sixth straight year to see a net increase. 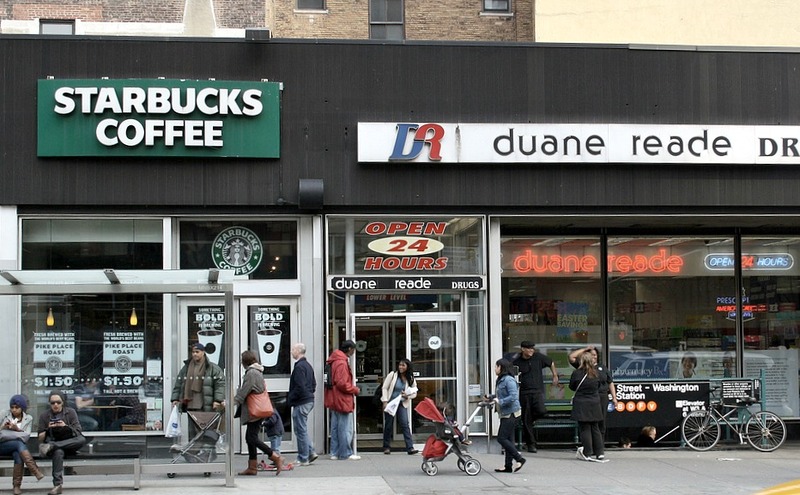 Queens is experiencing the fastest growth in new stores, and coffee king Dunkin Donuts maintains its top spot for the seventh year running with a total of 536 locations, 21 more than last year. Not only do the report’s findings show the largest spike in chain activity in recent years, but also a major shift from 2013’s data. Last year, there was only a 0.5 percent increase in the number of city chain stores, the smallest increase since the Center began compiling the report seven years ago. It was also a drop from the 2.4 percent gain in 2012. Coming in second place after Dunkin Donuts was Subway, with 468 locations, followed by Duane Reade/Walgreens with 318 stores, Starbucks with 298 outlets, and McDonald’s with 234. Starbucks reigns supreme in Manhattan with 205 locations, though it actually lost seven stores in the borough this year. Additionally, about 33 percent of the 300 national retailers on the 2014 list opened at least one store over the past year, compared with 29 percent last year. The fastest-growing chains include metroPCS, CVS, GNC, Checkers and Chipotle. Every borough except Staten Island, where the number remained the same at 425, experienced a jump in the number of national retailers. Their presence in Queens increased by 6.4 percent, going from 1,663 stores last year to 1,770 this year. The Bronx was next with a 4.2 percent increase, followed by Brooklyn at 3.4 percent and Manhattan at 0.4 percent. For more details, you can download the full report here.